Five films trace a psychogeographic map through East London, out into the hinterlands and beyond. We visit the wild and tamed; the forgotten and remembered; landmarks and buildings which cast spells and long shadows. An early work from this highly regarded film maker. A topographical exploration combining fictional commentary with imagery derived from a journey across the north of England from Jodrell Bank to Whitby. An improvisation recorded over the course of one day, from dawn to dusk. A film edited in camera and shot from one position in the middle of the 112 football pitches that cover Hackney Marshes in East London. Through selection of shots and changes in cutting pace and speed of camera movement, the film fluctuates between record and abstraction. 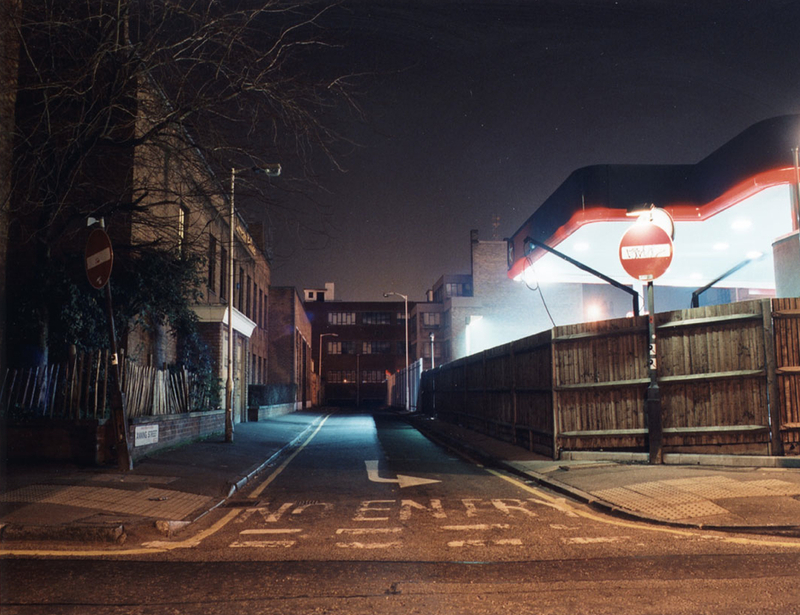 A film shot entirely at night in the deserted streets around the East End and Dockland areas of London. The film reveals the presence of the past, of the dead, the concealed history of a city filled with shadows. Cobra Mist explores the landscape of Orford Ness and the traces of its military history, the experiments in radar and the architecture of the Atomic Weapons Research Establishment. The buildings have been left to deteriorate – secrets are slowly revealed through image and sound.